Rev. 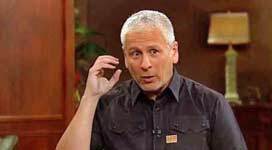 Louie Giglio, who had been announced as the pastor to give the benediction at the presidential inauguration, has now pulled himself out of the ceremony, after criticism of his previous anti-gay comments and actions, sources confirmed to ABC News. The Rev. Louie Giglio, pastor of Passion City Church in Atlanta, was announced as part of the inauguration program on Tuesday. But the website ThinkProgress subsequently published a lengthy sermon of Giglio’s from the ’90s. In the face of withering criticism over a sermon he apparently delivered on homosexuality in the 1990s, the Rev. Louis Giglio has withdrawn from giving the benediction at President Barack Obama’s inauguration.